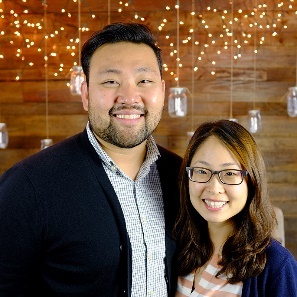 The AMI QT Devotionals from November 26-December 2 are provided by Pastor Joshua Kim of Church of Southland. Joshua, a graduate of Emory University, Columbia Theological Seminary (M.Div.) and Talbot School of Theology (Th.M. ), serves as the pastor of Access group (singles). He is married to Christina. They recently had their first child. Let not many of you become teachers, my brethren, knowing that as such we will incur a stricter judgment. 2 For we all stumble in many ways. If anyone does not stumble in what he says, he is a perfect man, able to bridle the whole body as well. 3 Now if we put the bits into the horses’ mouths so that they will obey us, we direct their entire body as well. 4 Look at the ships also, though they are so great and are driven by strong winds, are still directed by a very small rudder wherever the inclination of the pilot desires. 5 So also the tongue is a small part of the body, and yet it boasts of great things. See how great a forest is set aflame by such a small fire! 6 And the tongue is a fire, the very world of iniquity; the tongue is set among our members as that which defiles the entire body, and sets on fire the course of our life, and is set on fire by hell. 7 For every species of beasts and birds, of reptiles and creatures of the sea, is tamed and has been tamed by the human race. 8 But no one can tame the tongue; it is a restless evil and full of deadly poison. One of the few TV shows I’ve seen in its entirety is an early 2000s political drama called The West Wing. As the name suggests, it is a show about the inner workings of the White House, in particular, the relationship between the President and his most trusted advisors. There is a particular episode where the staff is preparing for the State of the Union Address—this speech can make or break the political agenda of the president. Therefore, an incredible amount of preparation goes into writing this speech. There’s a scene where the staff brings together a group of people where they “test” or “poll” particular words/phrases to see how they respond. Even the intonation of how these words are said are polled. And the results from this polling impacted what or how something was said in the State of the Union. 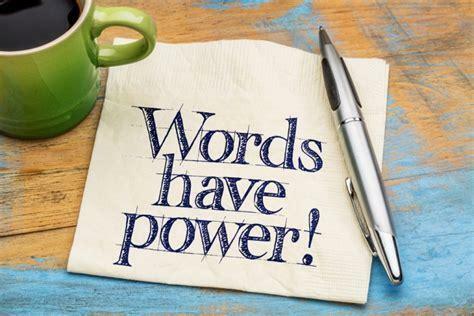 This is the power of words. As we reflect through the book of James, we see that Scripture also testifies to the power of words. So powerful are the things that come out of our mouth that James goes as far as to say that it can defile the entire body or even set on fire the course of our life (v. 6). It is likened to a bit in the mouth of a horse or the small rudder of a boat—meaning, our words are able to steer the entire body. Especially for those of us who are in positions of leadership/teaching, we should use great caution in our speech. Today and tomorrow, we’ll be reflecting on what James teaches us on the words that we speak. Perhaps it is a timely reminder for all of us to reconsider not only what we say but how we say things as ones who are seeking the righteousness of God (1:19-20). Prayer: Dear Lord Jesus, we praise You for You have the words of life. And we take this moment to pause and reflect upon the words that we speak—to ourselves and to those around us. We repent not only for the words that were spoken but for our lack of mindfulness of those words. Purify our hearts so that the words that overflow may reflect Your glory. In Jesus’ Name. Amen. Read Proverbs 10: 11, 19, 21, 31-32: The mouth of the righteous is a fountain of life, but the mouth of the wicked conceals violence . . . 19 When words are many, transgression is not lacking, but whoever restrains his lips is prudent . . . 21 The lips of the righteous feed many, but fools die for lack of sense. 32 The lips of the righteous know what is acceptable, but the mouth of the wicked, what is perverse. Proverbs are often structured into duplets—one in the positive, the other in the negative. Take a moment to weigh the two sides laid out in this proverb. What are some themes you see throughout the proverb in relation to speech? In what ways does this proverb speak to the way you use your speech? General themes: those who are wise or have understanding are careful in how they use their words, which benefit not only themselves but those around them. Those who do not consider their words leads to destruction, perverseness, evil, and transgression. You probably went throughout today speaking—whether verbally or through email/text—many words. Take a moment to pause and reflect on those words. Are they honoring to the Lord? Do they reflect the way of the wise or the perverse? Spend some time bringing your words and speech to the Lord; ask for His refinement.